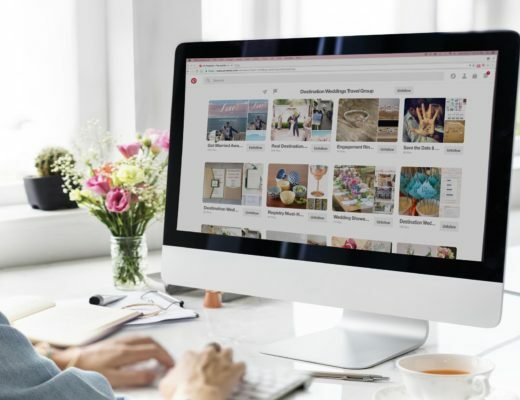 Picture this – it’s six months after your wedding day and you reach for your wedding album for nostalgia. As you flip through the carefully curated pages – what do you see? You and your beloved partner, the smiling faces of friends and family and the venue in all its glory are just a few images that come to mind. But what about all the little destination details? A good photographer knows that there is so much more to capture beyond the beautiful people and venue, especially when it comes to destination weddings. With the culture, history, landscapes and views that come with most prized destination choices, it would be a shame to miss out on these amazing destination wedding photography opportunities! 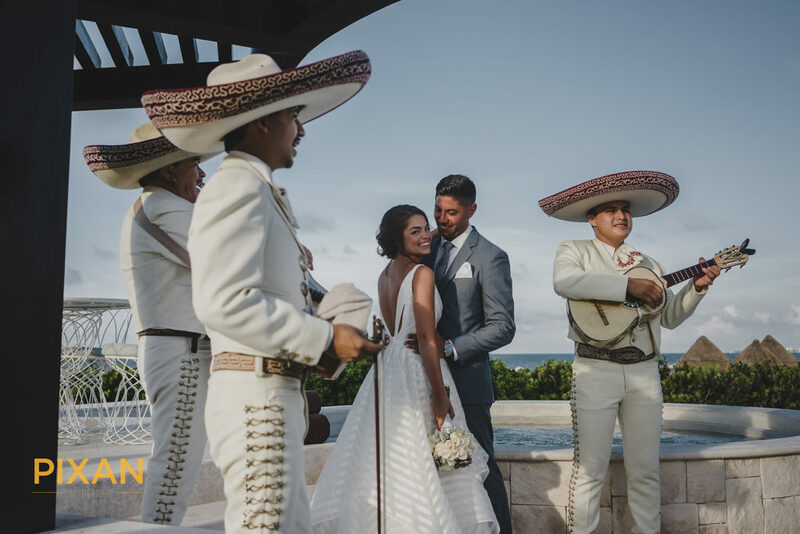 When we plan a Cancun wedding photography session with our clients, we consider all the nuances of their chosen location that are at their disposal (such as local festivities scheduled for that week, hidden tropical forest hideaways, famous landmarks, breathtaking vistas and more). 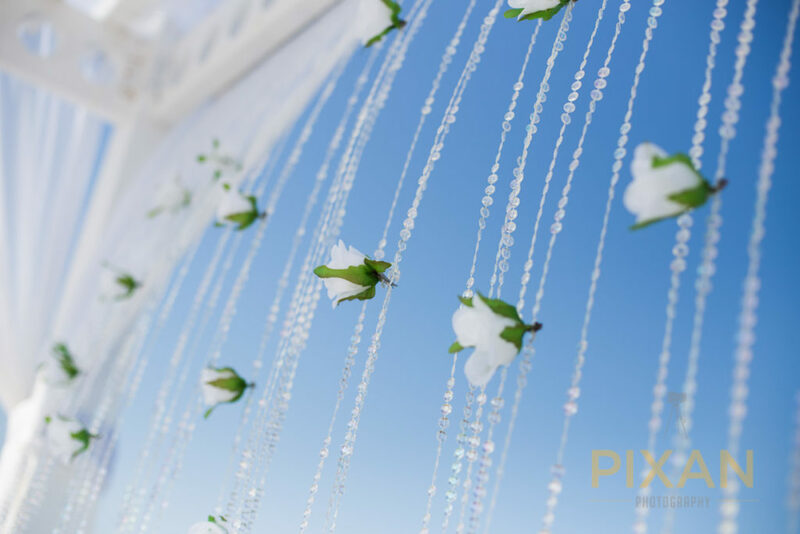 With these in mind, we can design a well-rounded photo plan that tells a rich, colorful story of destination wedding days. Whatever your destination is, whether it’s a beach or bustling city, it will have plenty of local flavor to photograph. Think natural spaces like lagoons, caves, parks, rivers, and woodland areas. You can also consider local hot spots, artistic spaces, and places that express the beauty and uniqueness of where you are. If you incorporated local flare into the event itself through cultural décor, local artisan food or other ways, don’t forget to photograph that too! Speaking of natural elements, you will definitely want your photographer to capture the wedding flowers! Pay attention to any regional flowers, plants, or animals that you’re including in your celebration, too. This could be anything from starfish and butterflies to exotic orchids and palm trees. The region’s landscape can be as much a part of your destination wedding photography as any other detail! Tiny editorial details that showcase the features of your location, such as your wedding rings stacked on top of seashells or hand prints in the sand, can marry your day to the local in a truly special way. If you have cherished pieces, lay these items out for your photographer. Anything like an heirloom piece of jewelry you’ll wear, a secret message sewed inside the hem of the dress, the groom’s bow tie, the cake knife, a love letter or your something borrowed is perfect! Either way, it doesn’t have to be complex. 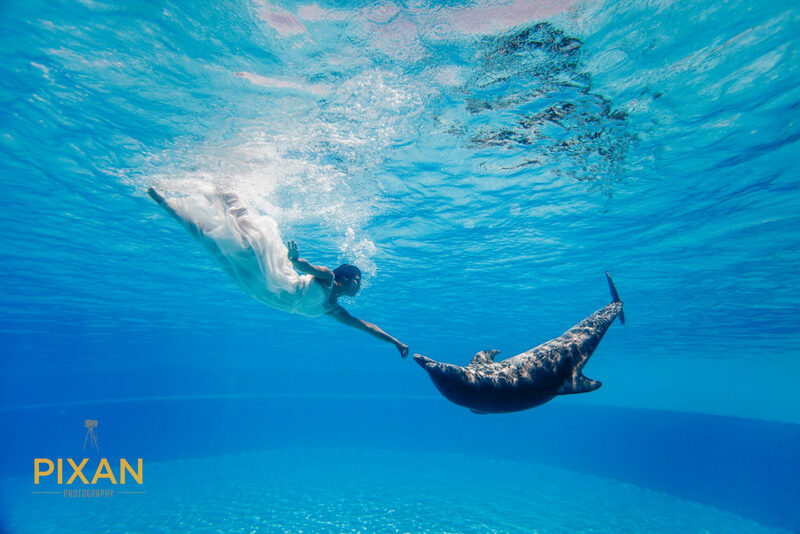 When we shoot a trash the dress photo session in Cancun, it’s personal enough capturing the wedding dress floating graciously in the water. Photographing the surrounding area is pretty much a given, but you can also get creative with this kind of imagery. Place your shoes in front of the pool, or on the banister of your balcony (especially if it has an amazing view). Hang your dress from a tree. Steal a kiss from your partner under the water. 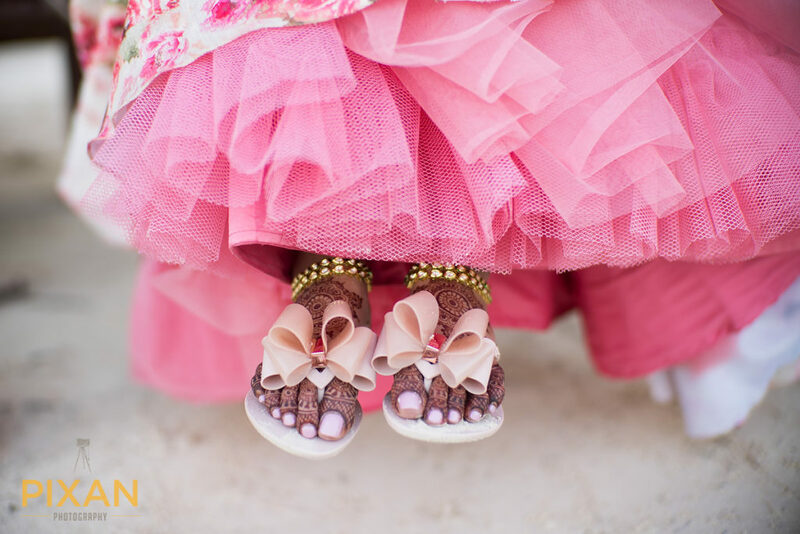 Talk it over with your photographer and see if he or she has any ideas! When we shoot Mexico beach weddings, capturing the sunset is an absolute must. There is something so tropical, romantic and fleeting about the sun setting over the sea that it just never gets old! For a traditional photo, go for a silhouette of the two of you enjoying the evening show or sneaking a post-celebration smooch. For an unconventional approach, take an eavesdrop-style angle with your photographer shooting from afar behind foliage nearby. You get one day to make the most of your wedding, so be sure to capture it in all its beauty. Fill your album with all of the fun and festive details of your chosen destination and you’ll have a keepsake that tells your wedding story in the most vivid, exciting way! 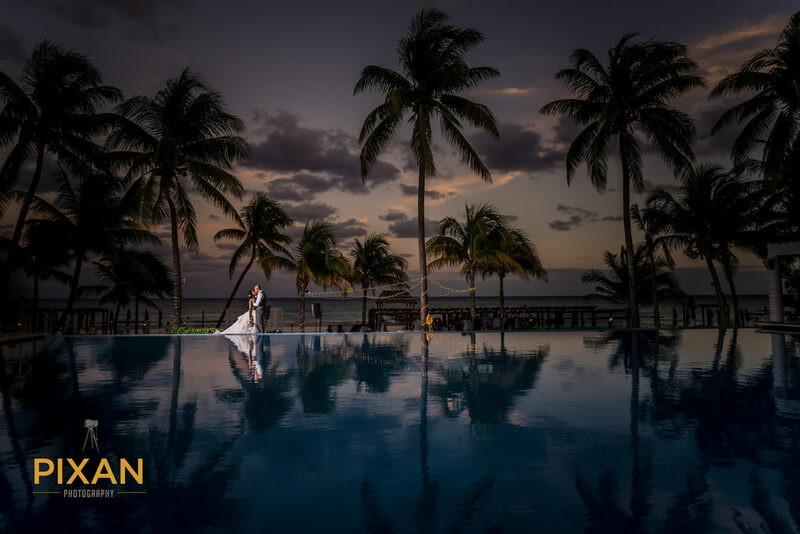 Vincent is the owner of Pixan Photography, a team of destination wedding photographers in Mexico that are as passionate about their clients as they are their work. When he’s not shooting destination weddings, Vincent loves traveling the world with his wife and son. 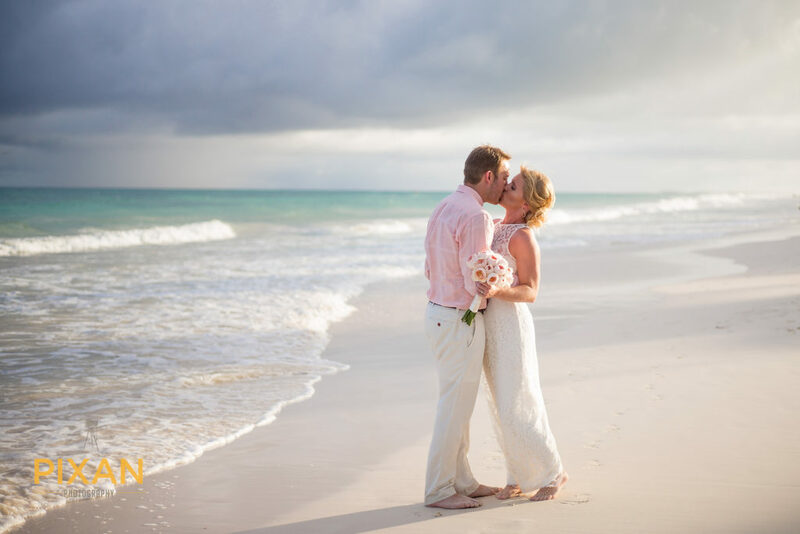 For more destination wedding photography inspiration, visit our website & Pinterest! Exclusive Promotion: Slime Your Dress in Punta Cana!